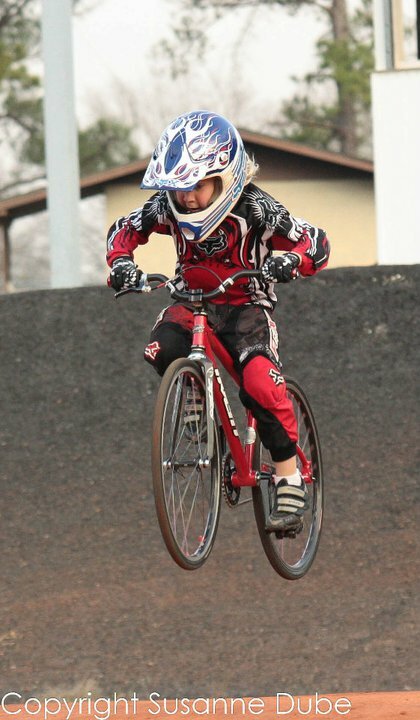 Adventures of a BMX Mom: Save the Cruisers! 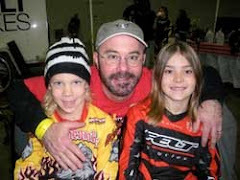 This past weekend we ventured to Indiana so the boys could race in the NBL Hoosier Nationals in Evansville. 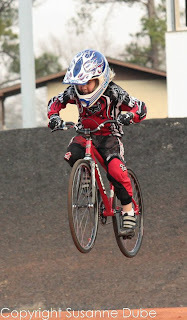 We were all itching to go, not having raced a national since before the formation of USA BMX. I won't lie. After months of taking advantage of the NBL's fuzzy math, it was painful to pay entry fees for two boys racing two bikes for two days. It occurred to me after registration that I was not offered a discount for cruiser. I seem to recall, back in the pre-Aragon days, that cruiser, with 20" registration, was half price. After handing all my money over to Erma, it didn't surprise me one bit to see cruisers with "for sale" signs lined up along every fence. Wyatt prefers his cruiser to his 20"
It was exciting at the beginning of the season to see the flourish of new cruisers. William had been on a cruiser for a while, but we decided to get one for Wyatt too. Why not? Racing's free! At every race, cruiser motos were stacked-- nearly always having semis, and sometimes quarters. We were mildly disappointed, but not surprised Saturday when William's 10 cruiser moto was mixed with 11-12. I don't know anyone who wants to drive 10 hours for a mixed class, but William kept his chin up and hoped for the best. William did his best to keep up with the 11x and 12x in cruiser, resulting in a good sandwiching between the older riders in the first two motos. Not wanting to take a needless risk before his 10x main, William took it easy in the third round of cruiser. After the dust settled on William's win in 10x, his mind turned to cruiser. Looking thoughtful he said, "I can get second-- I know I can." When the gate dropped, he gave it everything he had, carving through the first turn in a solid second. With the 11x breathing down his neck, William stayed strong on the cranks. His bike control wasn't quite ready for his speed, and he began to slip on the last straight. It was so close at the line, we couldn't tell if he had finished second or third. I met William at the finish, asking him where he placed. He shook his head, "I'm not exactly sure." He went on to explain how he had been given the 2nd place chip. His 11x opponent pleaded with him-- "My dad will kill me if I come in behind a 10x!" William, not wanting to be responsible for this poor kid's demise, swapped chips. When final results were posted Monday, we discovered that William did in fact finish second. I hope that poor kid is still alive. All of this drama could have been avoided if significant discounts had been given for cruiser registration. Kids love cruiser. It's another opportunity to get on the track. It also gives challengers like Wyatt an opportunity to race experts and see where they stand. As plans are made for the 2012 season, I hope drastically reduced fees are implemented for cruisers, to encourage riders to fill these motos once again.